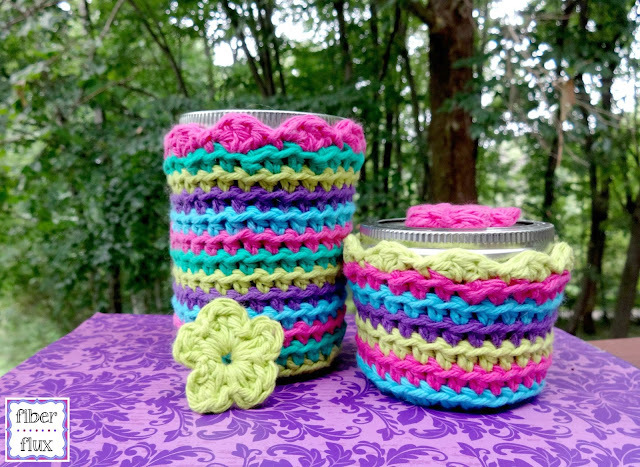 Fiber Flux: Free Crochet Pattern...Jelly Jar Covers! 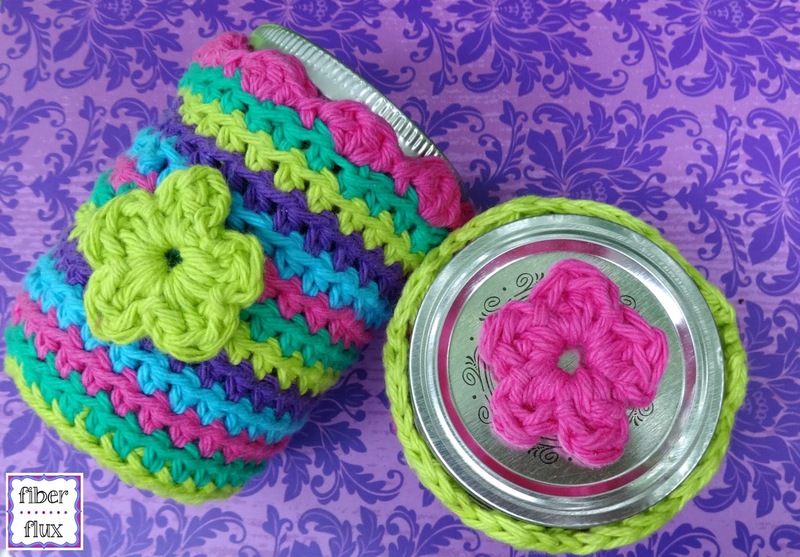 Free Crochet Pattern...Jelly Jar Covers! I made these fun jelly jar covers to liven up some plain old jars I had. 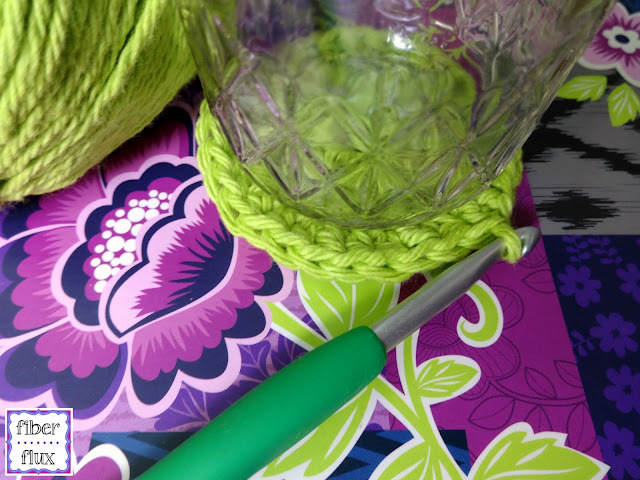 While these are great for gifting your handmade jellies and jams, they also make gorgeous storage jars for little things like buttons, beads, and lots more! Note: I worked one round of each color, feel free to experiment with any stripe combinations you like! Round 1: Ch 2, then work 11 hdc into the center of the ring. Join with a sl st to close round. Round 2: Ch 2, work 1 hdc in the first st then 2 hdc in each stitch around. Join with a sl st to close round. Round 3: Ch 2, work 1 hdc in the first st then *2 hdc in the next st, then 1 hdc in the next st. Rpt from * around. Join with a sl st to close round. Round 4: Ch 2, then work a hdc in each st in the back loops only (blo). Join with a sl st to close round. Repeat round 4 until cover is as tall as your jar. I worked all the way up to the point where the base and the lid met. Ch 3 and work 2 dc in the first st. *Sl st in the next st, skip the next st, then work 3 dc in the next st. Rpt from * to end of round, join to close with a sl st then fasten off. Ch 3 and work 2 hdc in the first st. *Sl st in the next st, skip the next st, then work 3 hdc in the next st. Rpt from * to end of round, join to close with a sl st then fasten off.